I wrote a few days ago that the Anaheim Ducks would be, ahem…less than prudent to not buy out the remaining year of veteran defenseman Kevin Bieksa’s contract, given their predicament going into the expansion draft. Even though the over-35 rule means the Ducks would not get any salary cap relief from buying out Bieksa’s contract, his $4 million cap hit is something they should have been willing to eat for one season in order to avoid losing further assets. It was reported earlier in the week that the Ducks had a pre-arranged deal with the Vegas Golden Knights that would prevent them from needing to ask Bieksa to waive his no-movement clause (NMC), and by logical extension, also eliminate the need for a buyout. However, most realistic scenarios for a deal with the Golden Knights would see the Ducks losing more assets than if they had just bought out Bieksa—whose rapidly declining game makes him far from a critical player for the Ducks—as that would have given them more flexibility. Alas, no buyout occurred prior to the deadline for the protected player lists. The bigger surprise was that promising young blueliner Josh Manson was also left exposed. 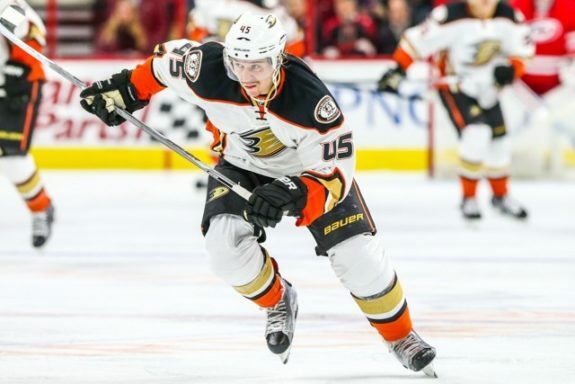 Ducks Have Deal to Protect Manson? Since Manson was not protected from the expansion draft, it seems that the alleged deal between the Ducks and Golden Knights involves an agreement that Vegas will not select Manson, as explained by TSN’s Pierre LeBrun and Ducks beat writer Eric Stephens of the Orange County Register. If this is true, the good news is that the Ducks will keep their defense corps intact, with the possible exception of Vatanen (as he might still be traded), who seems to be less vital to retain than Manson, Cam Fowler, and Hampus Lindholm. 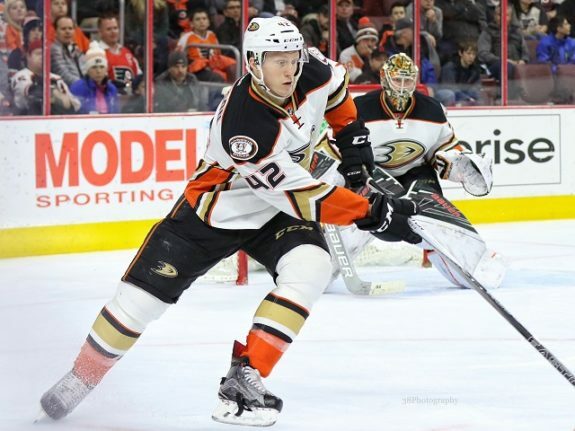 In addition, they can hold on to valuable forwards like Jakob Silfverberg and Andrew Cogliano by exercising the protection scheme of seven forwards, three defensemen, and one goaltender. The bad news is that it probably means that Ducks are giving up quite a bit to Vegas. After all, why would the Golden Knights pass on the opportunity to select one of Vatanen or Manson for free in the expansion draft? The Ducks would have to make it worth their while. The million-dollar question, of course, is what this supposed deal with the Golden Knights entails. Unless it’s Vatanen going to Vegas in a trade, the Ducks appear likely to end up on the short end. Even in that scenario, though, the Ducks would likely have to part with something else besides Vatanen and whichever lower-profile player the Golden Knights take. It’s difficult to fathom why Vegas would give up any assets for Vatanen when they could just select him at no cost. The Ducks would likely have to sweeten the pot themselves somehow. Another possibility, as offered up by my colleague Jim Parsons, is that the Golden Knights could turn around and flip Vatanen for a high draft pick or other type of asset, as teams around the league would likely be willing to pay a decent price to land a young, offensively-talented righty-shooting defenseman. Nevertheless, we still come back to the same conclusion. The Golden Knights could do the same thing if they just selected Vatanen in the expansion draft. If part of the deal with the Ducks was that Anaheim would not trade Vatanen to another club before the expansion draft, then they could also try a similar approach with Manson if they were so inclined. At the end of the day, the Golden Knights and general manager George McPhee have the leverage, as Ducks GM Bob Murray has to make a compelling offer. Otherwise, McPhee and company are under no pressure to agree to a deal. If the deal does not involve Vatanen in some way—and per Stephens’ reporting, it actually likely will not—then it stands to reason that the Ducks would have to have put together a very nice package including draft picks and/or prospects to keep Vegas from selecting Manson or Vatanen. Then the Golden Knights would still select someone from the Ducks’ roster on top of that. Again, a buyout of Bieksa’s contract would have given the Ducks more flexibility ahead of the expansion draft and would have prevented the need to give future assets away to the Golden Knights to keep their key defensemen and forwards in Anaheim. Now, though, that opportunity has passed, and the Ducks are left to make the best of a mess that is partially self-inflicted.